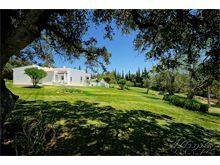 Set on a gentle hillside in substantial grounds Quatro Ventos offers complete privacy and is set in beautiful mature gardens. The raised pool area offers wonderful views of the countryside and down towards the sea and is very well equipped with quality outdoor furniture and a barbecue terrace. The interior is tastefully furnished and very comfortable throughout, complete with modern kitchen and easy access to the pool terrace and gardens through the plentiful patio doors. 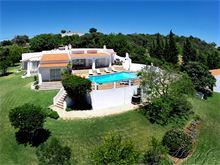 A great villa to unwind at and enjoy the Algarve countryside, and be in easy reach of the popular coastal resorts. 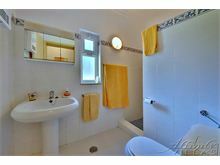 Approximately 3.5 kms from the shops and restaurants at Loule and 14 kms from the beach. Entrance hall leads through an archway to the living accommodation comprising a modern kitchen with side-by-side fridge/freezer, microwave, dishwasher and central island. Sitting room with wood burning stove, TV and DVD, 1 twin bedroom with shower room en suite, 2 twin bedrooms share a shower room with a power shower, 1 double bedroom with bathroom en suite and doors to the garden. Washing machine/dryer in the pool room. Air conditioning included. Maid service 2 times per week. Pool heating is available at extra cost, if required. 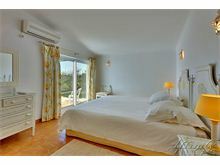 The villa was as described by Affinity Villas - it is remote but the space and views it afforded compensated. 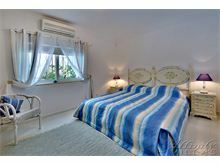 An excellent villa that we enjoyed and would recommend. Stayed at Quatro Ventos and had a wonderful week. The villa was exactly as described. The staff at Affinity Villas were so knowledgeable and helpful and helped us to make our decision of which villa to choose. 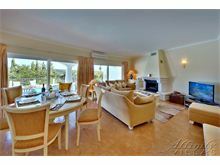 We will definitely be booking through Affinity Villas again, the service was impeccable. 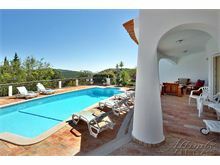 Quatro Ventos is a lovely villa, very private with a lovely pool. You definitely need a car as you need to drive to the nearest shop, restaurant etc but for us it was exactly what we wanted, total seclusion and relaxation. The air conditioning in the villa was excellent and even though the temperature outside was 38 degrees, the villa was always cool and comfortable.The maid service and the house manager were all very friendly and helpful and genuinely seemed to care that we were happy with everything. We will definitely be going back! This was our first visit to Portugal, and we could not have asked for a better villa. 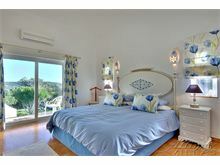 The complete holiday with Affinity Villas was totally exceptional. They are without a doubt the best company that we have ever dealt with for a holiday. The complete experience with them is totally brilliant, they are definitely a 5 star company. We thoroughly recommend them to anybody , of any age group. Totally wonderful. 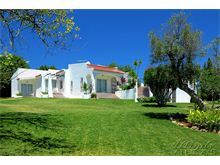 Beautiful villa at a great location so close to Loule. The outdoor area was stunning, giving an area to sit and relax out of the sun and enjoy drinks in an evening. 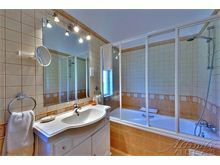 Inside the villa is everything you’d want it to be. Once again Affinity have outdone themselves! 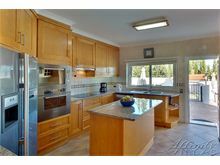 Excellent location, lovely pool area and gardens. It was perfect for the two of us with fantastic views over the valley. AC was effective, TV perfect, beds very comfortable, pool excellent, BBQ area excellent and garden was beautiful. All cleaners / gardeners / maintenance / pool man were excellent. 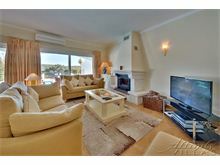 We had a great holiday, superb location and a fantastic spacious and very well equipped villa. The garden and views were wonderful. 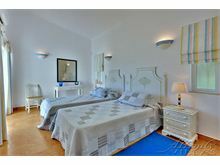 This is the second time we have booked Quatro Ventos as it is the perfect villa for our family. The view's are wonderful, the pool fantastic, the villa itself is modern, clean and comfortable, and, as an added bonus, there is a supermarket and restaurant just a few minutes drive away.